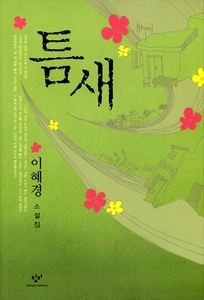 Since her literary debut with the publication of her novella �Our Abscission Layer� in the quarterly Segye-ui Munhak (World Literature) in 1982, Lee Hye-kyong has slowly but firmly established herself as a representative woman author by portraying the dark corners of life with warmth and sensitivity. This latest collection will regale and deeply move readers with its variations on the author�s aesthetics, with its lingering aftereffect. In particular, this volume is characterized by a deeper sense of realism and greater scrutiny of the sorrows of modern man through a variety of themes and personages. With migrant workers, networkers practically glued to telephone lines, small town home appliance mechanics, tour guides, and hypermarket security guards as protagonists, the stories in this volume evince the author�s strong wish to delve into and to soothe the lives of people today, cracked open with unfulfilled desire.